The homes at Pebble Cove Apartments bring our residents something special. With unique floor plans that include kitchen pantries, walk-in closets, and full-size washers and dryers, there’s something for everyone at Pebble Cove. Our residents enjoy the perks of covered parking, in carports or garages, as well as private patios or balconies with extra storage units. When it comes to finding your next Renton apartment in the Fairwood neighborhood, Pebble Cove offers residents an unparalleled living experience. Open floor plans make it easy to entertain, whether it be for all of your friends or for your two-year-old playing while you make dinner. Our extra spacious homes also include oversized closets with walk-in closets available in select units. The living experience at Pebble Cove is inclusive of more than the inside of your apartment home. We aim to enhance your time here with the best community amenities. 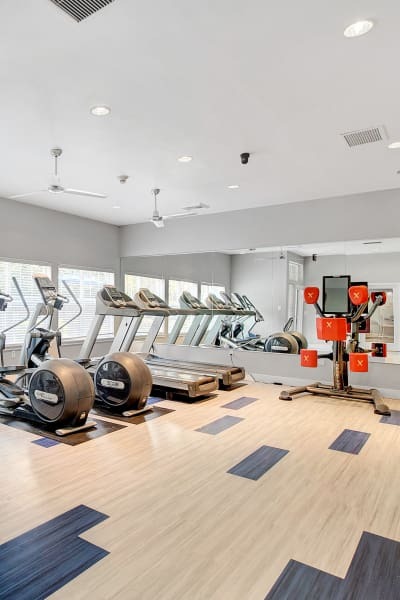 Save on gym membership fees by working out in our 24-hour fitness center. Bring the kids down to play at the playground. Walk your canine companion to the Bark Park where they can exercise and socialize with other dogs from the community. Relax by the fire pit on cool evenings. Swim in the pool on hot summer days. Prepare a BBQ feast at the outdoor BBQ area. Pebble Cove features incredible community amenities designed to enhance your living experience. Contact us to schedule your personal tour of our apartments in Renton, WA.